EA shooter takes show's top honor, leaves Jedi, Muppets in its wake. Electronic Arts' Frostbite 2-powered FPS got a little more ammunition in the war to dethrone Call of Duty when Battlefield 3 was named the Best of Gamescom award winner Thursday by an independent jury at the German trade fair. 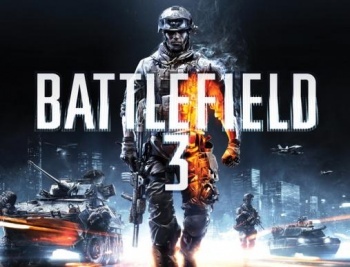 Battlefield is slated to hit store shelves October 25th, a little more than two weeks before the arrival of Activision juggernaut Call of Duty: Modern Warfare 3, setting up perhaps the most anticipated showdown of a crowded fall release lineup. That was just the tip of the iceberg for EA, however, which added to its pile of accolades with nods for Best Console Game (FIFA 12), Best Online Game (Star Wars: The Old Republic) and, in a category new to the show this year, Best Browser Game (The Sims Social). Sony was no slouch, either, making a splash with the PlayStation Vita handheld console, which took top billing in Best Hardware or Hardware Accessories. The publisher also won Best Mobile Game with Uncharted: Golden Abyss. Other winners included Diablo III (Blizzard Entertainment) for Best PC Game and the adorably-named Sesame Street: Once Upon a Monster (Warner Bros. Interactive Entertainment) for Best Family Game.